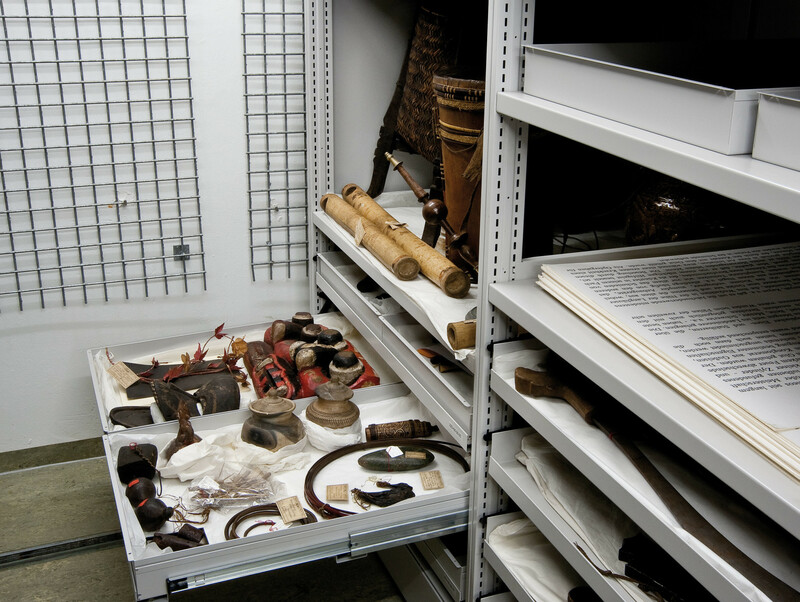 The Ethnological Collection is part of the Institute of Geography. The collection’s 600 objects were given to the Five Continents Museum in Munich on permanent loan in 1996. The museum cares for the objects, uses them in research and, where necessary, restores them professionally. Some of them have been used in exhibitions in the past. The majority of the artefacts in the Ethnological Collection were collected by three researchers on their trips around Africa and Asia: zoologist Dr. Eduard Pechuël-Loesche accompanied expeditions in the area around the Congo before being made the first professor of geography at the University in 1895, his successor Wilhelm Volz travelled to the Malay Archipelago around 1900, and the Erlangen-based zoologist and scholar Ernst Friedrich Will journeyed to Brazil and Borneo. The best documented objects are the ones brought back from Borneo by Will in 1892/93 at the request of Emil Selenka, a professor of zoology at the University. Thanks to the detailed diary entries and photographs that Will produced, this part of the collection is incredibly well documented, making it a valuable source for research.